A successful weight-conscious dinner needs lots of flavor, and this Weight Watchers recipe we recently tried delivers. 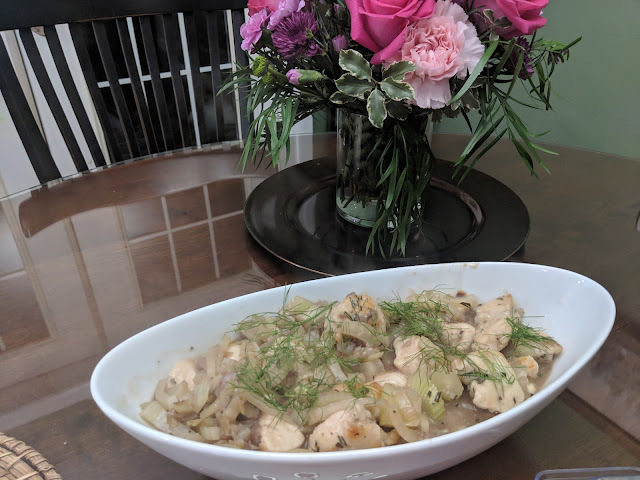 Sauteed fennel and onion each add their strong vegetable goodness, with the rosemary also punching up the flavor. Of course, everything's better with garlic. You can replace the red wine with some vinegar and water, but we keep one of those little wine boxes in the fridge for these occasions.